Something felt wrong to Michelle Williams — very wrong. Since the 7th or 8th grade, the former Destiny’s Child member recalls feelings of isolation, anger, and the overwhelming sense to sleep. Unable to categorize what she was feeling, she ventured on in life with the hopes that everything would be alright. At the peak of Destiny’s Child’s success, Williams approached the group’s then manager Matthew Knowles saying, “I think I’m depressed.” It is then that Williams was reminded about the multi-million dollar deal the group had just signed, the Barbie dolls that were coming out, and the upcoming tour. She retreated back to herself, mulling over the things that were materializing. She thought, “So I’m not depressed, maybe I’m just tired.” This cyclical thinking would flick off and on for Michelle — until one day, she finally sought professional help. 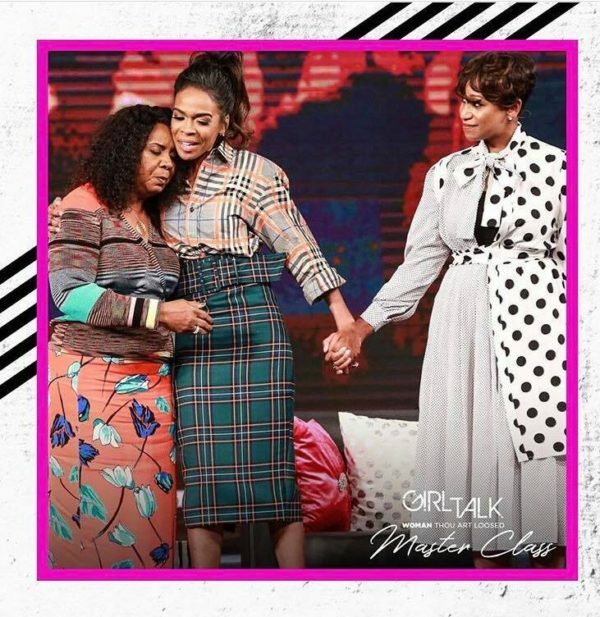 Michelle Williams hugs Serita Jakes and holds hands with Dr. Anita Phillips during the Girl Talk panel at Woman Thou Art Loosed Master Class on October 19, 2018. 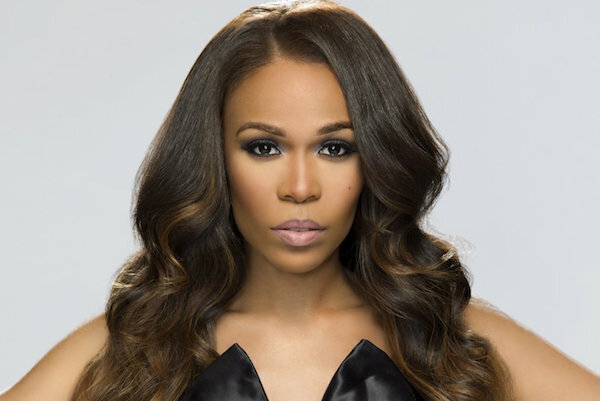 Opening up to thousands of women at the Woman Thou Art Loosed MasterClass Conference on October 19, 2018, Michelle Williams did just that. She held her head up high, ascended the steps to the extending stage, and bravely told her story. Inspire N Style: It’s been a long journey for you up until this point. What were some myths that you encountered with respect to your depression? What is your message for those who have an internal struggle between relying on the Lord to heal them of illnesses, and then seeking help for mental illness and/or depression? In a world where we’re striving for greater and following our purpose – with this comes pressure and responsibilities that are unimaginable. How can we balance ‘having it all’ and taking care of our mental health? Tell us a little bit more about removing the mask. You have a new show with your fiancé coming out on the OWN Network on November 3, 2018. Will we see any of these moments on the show? 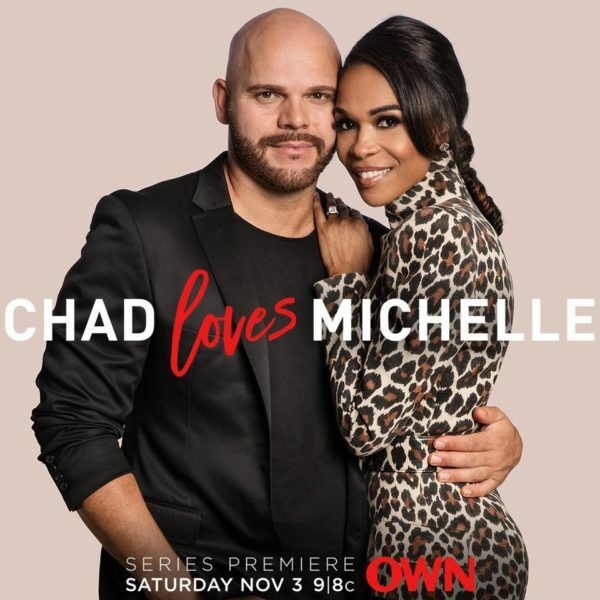 You will see it all on Chad Loves Michelle beginning November 3, 2018 at 9PM EST on OWN TV. What are some of the fun moments that we will see on the show? Welcoming a new show, a soon-to-be new marriage, and an upcoming Broadway play titled Once On This Island (opening November 30, 2018), the celebrity songstress is moving forward in a way that only a true overcomer would. Inspiring others to seek healing and therapy, Williams’ work is far from over. “Seeking help was one of the best things I have ever done,” she said. “It turned out to help a lot of people.” Her family members are now opening up and sharing their struggles, as are many others in Williams’ life as a result of her bravery. And as the world watches in the media and through her latest ventures, one thing can be said for sure — Michelle Williams’ narrative is far from over. Better yet, it’s just the beginning. But in the least as it pertains to this, she fought endlessly to tell her story – and thankfully she did it, in her own way. To see this story in print, visit stands to pick up the latest edition of Southern Dallas County Magazine, the November 2018 issue. Hear the audio of this interview on the Inspire N Intel podcast! Be sure to support and subscribe. Thanks for listening!